← A Safe Mist Sunscreen? No way!!! I was born in the 70s and as a child of the 80s, of COURSE I didn’t use technology; nor, would my parents have let me. They had the “get outside and come back-in when the sun sets” philosophy on child reari ng. My childhood was vividly colored with creeks, fields, and frogs…it was truly dreamy. 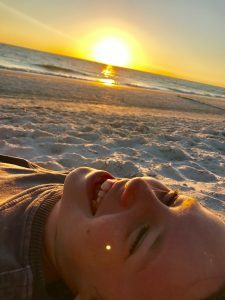 The blue light I was exposed to was the beneficial daylight sun – proven to improve reaction and attention times, as well as mood. Besides little tricks like turning your devices on Night Shift, limiting screen time before bed and setting timers to alternate your gaze from short distance to long; a big shift in our house has been the use of blue light blocking glasses. 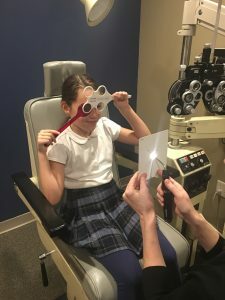 During their exams we were able to discuss screen times with the kids and figure out the best “fit” in terms of lenses. Neither of my kids “need” glasses to see, but they were able to fit them for their tech time. The rule in our house; no glasses, no tech. It’s pretty simple and they think they look smart in them anyway!